Now that we have no "Groups" anymore, I thought I'd start these threads... Previously, there was a "group" for each manufacturer... One could talk about that brand and/or post pics. Anyway, if ya got a Beretta and are proud of it, this is the place to do a yee haw or post up a pic or whatever! Re: The OFFICIAL Beretta Thread! Everyone here knows the 92 platform is my fav. I've owned a lot of guns over the years. I never would have bought 8 of the same design in years past. But for various reasons, I've gone thru a lot of stuff over the years, even expensive 1911s (I still have 1 custom 1911, though). Anyway, this is my fav platform. And, I'm about to wind down my gun buying odyssey pretty soon. The 92 series is quickly becoming my favorite. I don't know if I will make it to 8, but I have 5 and counting. So here's my PX-4 F in .45. This is the one with the disappearing slide lock spring. Still waiting on the replacement. Just reduced the grip size with one of the included back straps. Next range trip will determine the efficacy. Very nice looking gun, dude! 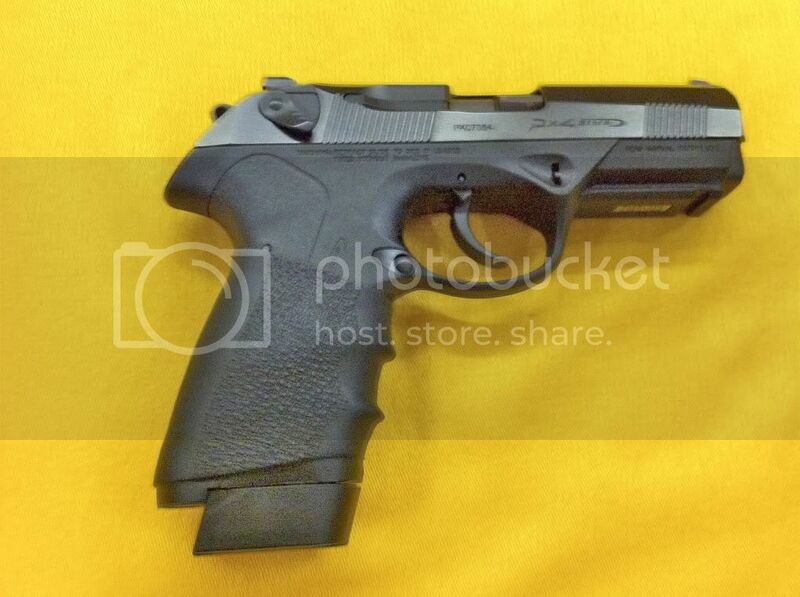 What will be a fair price for a used Beretta Cougar? 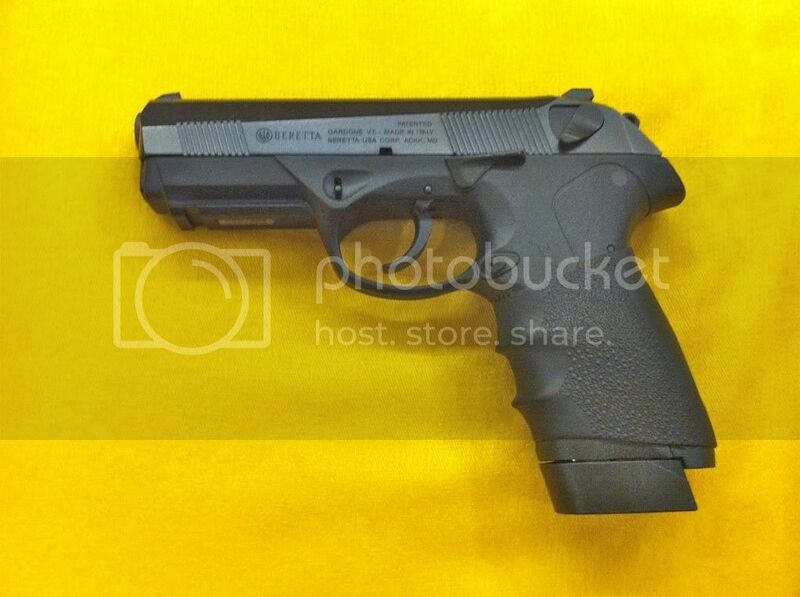 My first beretta is an m9. It is about 5 years old, 1200 rounds, my go to home defense gun. I bought a px4, 9mm type f, in OD green. I was very much unsure of the rotating barrel. I had a terrible time with a Stoeger Cougar. I put off the PX4 for a number of years. I happened to try one at Champion's range. It looked really old and dirty but it shot fine and the action was easy on the hands. The accuracy was astonishing. I researched the px4 extensively for about 6 months. I read every thread on every forum I could find about the px4. I watched every youtube video. I really didn't want another mistake in getting a jam-o-matic like my cougar was. I found very few complaints about the px4 in 9mm. So i bought a display unit at academy. I put 450-500 rds through it right out of the box and it was perfect. I cleaned it and ran another 150-200 through it with no issues. This is a great handgun. I like the polymer entombed steel skeleton. It doesn't feel cheap like most polymer frames. If i ever get around to doing IDPA, my px4 will be my go to gun. This month I'll be picking up another 92. I'll be on my way to my own beretta pinwheel. Depending on the caliber and condition, I have seen them sell anywhere between $350 - $600. At the last gun show I saw a mint condition 8040 Cougar for $500. You can never have too many Berettas. Got a 950BS in .25, resisting the urge to bling it out with one of those gold-plated parts kits. Beretta Cougar L Type P (Cougar L slide, lighter barrel and beveled slide, but with a full-length magazine). The Cougar is a great gun for the money. Academy has the Stoeger Cougars for $399.99. So...after seeing the HK45 vs. FNP45 video (and all the reading I've done), it suddenly occurred to me that Beretta also makes a 45 ACP version for their PX4 series (of which I already own a PX4 Full-size and a Compact, both in 9mm). I checked the external dimensions on Beretta's website and they seem to be exactly the same with all calibers (9mm, 40 and 45). So...now I'm wondering if I should get the PX4 45 since I'm already used to shooting the PX4 9mm. The flip side is that the HK45 is similar (but not exactly the same) as the P30 series (of which I also own a P30 and P30L, both in 9mm). The HK45 does have 1 more round for the flush-fit mag (10 round capacity) but I think that is offset by the slight difference in operation (combo safety/decocker lever) and size (it is a little bigger than a P30L).